On Wednesday, February 21, the DOE announced that it will be ending the LED Lighting Facts program by the end of March 2018. 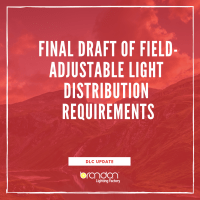 As the DLC has referenced and relied on LED Lighting Facts for several components of the DLC program, we are making immediate changes to the DLC SSL product application requirements to reflect the closure of LED Lighting Facts and streamline our process. Effective immediately (2/22/18), the DLC will no longer require applicants to submit LM-79 data to LED Lighting Facts. All open applications where this information may not yet have been provided will consider this issue closed. Changes to the website and application submission portal will be made ASAP to clarify this change. The DLC is working on a transition plan for its LM-79 lab accreditation requirements. 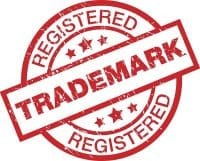 As the LED Lighting Facts website will be available through March 30th, the DLC will continue to point to the list of labs acceptable via the LED Lighting Facts rules until that date. The DLC will determine a longer-term solution for LM-79 testing acceptability over the next couple of weeks, and will communicate those details to you as soon as they are finalized. The final policy will be in place well ahead of the March 30th close of the LED Lighting Facts website. If you have any questions about this transition as it applies to your SSL application(s), please contact your reviewer through the Application Portal messaging system. If you have general questions not addressed above, please contact [email protected].